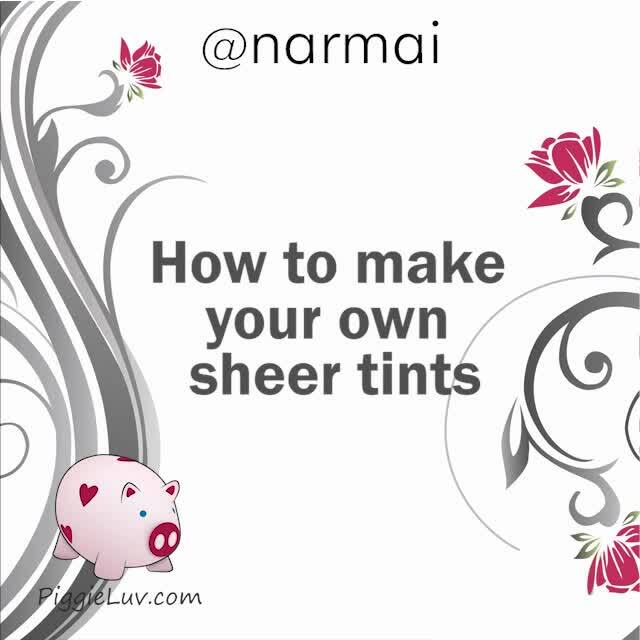 PiggieLuv: How to make your own sheer tints polishes! I've done a few designs now with my homemade sheer tints polishes and it's about time I tell you how to make your own! Click to see more! Drop a few drops of your chosen color into your clear polish. I added mixing balls because it helps mix up the polishes. Shake well, and there's your home made sheer tint! Just think about it. You can make neon sheer tints, or even glow in the dark or holo ones. Awesome!! !